Temporomandibular Joint Syndrome (TMJ) occurs in millions of people every year. 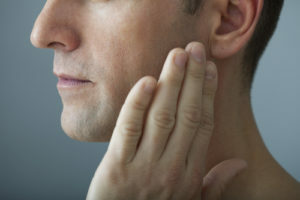 This condition affects the joints that connect the jaw to the skull. TMJ can be a mild irritation to excruciating pain. Those who undergo from it report sharp pain and a feeling of tightness in the jaws and over their entire face. TMJ produces headaches, including cluster headaches and migraines. The good news is, this discomfort and pain are temporary. Once the TMJ is properly treated, it will go away. In most cases, the cause of this disorder is not clear. There are many therapies and treatments for TMJ. Some you can easily perform at home and some require medical attention. It is highly recommended you take dental or professional medical help when going through TMJ. 1. Custom-Made Dental Appliance –One of the treatments of TMJ entails the use of a dental appliance or an oral appliance. It is similar to a mouth guard that sports person wear. This appliance can tremendously help improve your TMJ symptoms. Oral appliances are non-invasive and convenient, which makes them a good treatment option. 2. Physical Therapy – Another common treatment is physical therapy for TMJ. This can include the face, jaw, and mouth exercises. Doing so, it will help relieve the stiffness and pain in your temporomandibular joint. 3. Injections as a Form of Pain Relief – Another option for treatment involves injections. These consist of steroidal, even Botox injections. However, it is important that you consult with your medical or dental professional before choosing this approach. 4. TMJ-Related Surgeries – If other therapies and treatments have not worked for you, you can consider the option of surgery. TMJ-related surgeries such as arthrotomy, arthroscopy, arthrocentesis, and modified condylotomy should be considered when all other options are exhausted. If you have continuous pain or soreness in the jaw, or if you are having difficulty opening or closing your jaw completely, you should seek medical attention. Your TMJ specialist or dentist will discuss probable causes and treatments. Call us here at Angel Dental of El Monte to make an appointment today 626-444-2002.